Here we are presenting the total information about TREIRB Librarian Recruitment 2019 Notification. Interested Candidates, from Telangana State, Who are looking for the Government Jobs, can proceed to apply for this, after checking the total details. Now, the officials of the Telangana Residential Educational Institutions Recruitment Board are inviting applications for the available positions, through the Online Manner. Well, though the officials didn’t disclose the complete details such as the Starting Date and Closing Date, here we are giving the heads up by providing the total information in advance. Apparently, there is a total of 199 Positions available. All the interested candidates can go ahead and apply, by submitting the application form. Check out the total data we presenting about the TREIRB Librarian Recruitment 2019. And then go on to submit the application form for the TREIRB Recruitment 2019. Well, the total details are included in this post. Interested candidates, can apply for it after the Starting date and closing date are announced. Remember it is very important for the contender, to have all the Qualifications, correctly, if not all such applications will be rejected along with those submitted after the final date. To make the details, more available, here we are providing a table. And that table, consists of all the information that an individual need to possess, at the time of applying. Apparently, the contenders, who are willing to apply for the TREIRB Librarian Recruitment 2019 should have finished their Graduation or Degree from any Recognized Institute or University in India, as the Educational Qualification. Contenders need to Minimum age of 18 years and Maximum age of 44 Years. For Age relaxation, check the advertisement. Now, the officials of the Telangana Residential Educational Institutions Recruitment Board are going to conduct the Written Test followed by the Interview, as part of the selection process, which the contenders have to clear. 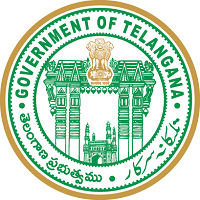 You will know, the details of the application fee, once the notification is released by the Telangana Residential Educational Institutions Recruitment Board Officials. And then submit the application form before the final date. Hope the data we shared about the TREIRB Librarian Recruitment 2019 is helpful for the contenders. For more such details, check our site Freshers Now, regularly.